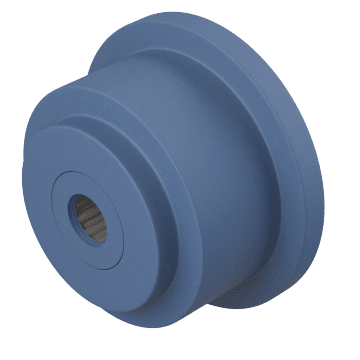 Fit these grooved or flanged wheels into rails to minimize the need for guiding your loads and provide easier rolling in production processes. Installing rails in a production facility is common for repetitive jobs, applications requiring precise alignment, or in extreme conditions found in foundries and kilns where low-friction rolling and durability are vital. 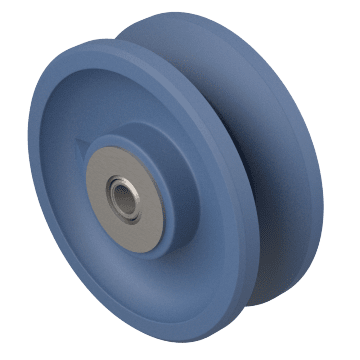 Use these durable metal wheels on inverted angle iron track. 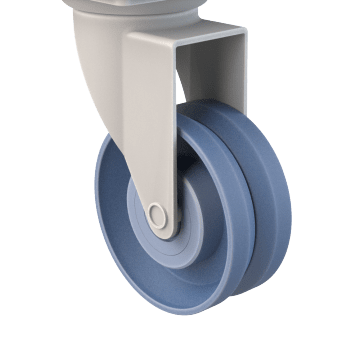 They have a relief groove within the V to keep loads evenly distributed when rolling on the track and flat edges on the treads for use on flat surfaces instead of track. All are typically for use with 1 1/2" to 2" track. With either 1 or 2 flanges on the wheel, these wheels remain securely on the track despite curves, heavy loads, or bent track. They are for use on flat surface iron or steel track.